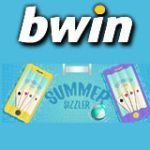 Bwin Under the Gun is a fourteen day long challenge where players are required to complete the daily tasks for entries into the Under The Gun Freeroll. 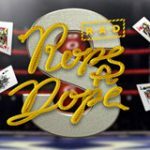 Each simple challenge rewards players with a tournament ticket to a daily $1,000 Bwin freeroll tournament. 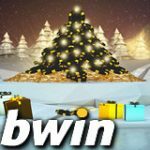 New players that sign-up to bwin get a 100% first deposit bonus up to a maximum of $500, the bwin minimum deposit is just $10. Get tournament tickets to the Bwin Under The Gun Freeroll by completing the daily poker challenges during the promotion dates 2nd - 15th February, 2015. Play for your share of $14,000 in freeroll prize pools with a daily challenge and bwin freeroll tournament. Date: Daily until 16th Febrauary. New players can join in on the action and get a first deposit bonus when joining the popular online poker site, bwin. Complete the challenges for a ticket to the Bwin Under The Gun Freeroll. 2nd February Deposit on Bwin Poker. 3rd February Play ten poker hands on the Casual Cash Game tables. 4th February Play two scheduled bwin tournaments. 5th February Play 20 poker hands on bwin fastforward tables. 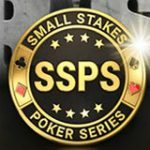 6th February Play two Winner Take All Step 1 SNG games. 7th February Play ten poker hands of Omaha cash games. 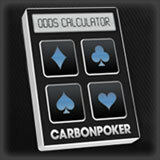 8th February Earn two bwinpoints playing on the Casual Cash Game tables. 9th February Play two SNG games on the bwin App. 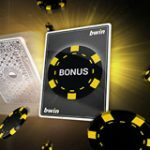 10th February Earn two bwinpoints playing on bwin fastforward tables. 11th February Play 20 poker hands on the Casual Cash Game tables. 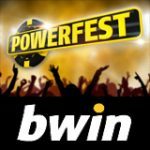 12th February Deposit on Bwin Poker. 13th February Play 40 poker hands on bwin fastforward tables. 14th February Play three SNG games. 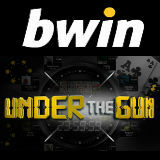 Complete the challenges within 24 hours on the selected dates of the Bwin Under The Gun promotion. Other Bwin products on offer include Bwin Casino with a wide variety of online casino games and Bwin Sports.